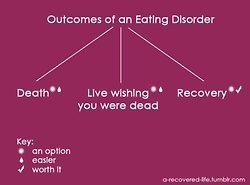 When you live with an eating disorder (also if you are morbidly obese for any other reason), a doctor will inevitably tell you at one time or another that you MUST change, or you WILL die. For some people that might be a real wake up call. A delivery system for inspiration. Determination. Whatever else people think will cure this little social malady from which fat people *suffer*. But when one of your outcomes is number 2 above, and you live wishing you were dead, what kind of incentive is the threat of death? Chances are, if you thought you could change, you would still be in the hope/diet/fail/repeat cycle and wouldn’t be wishing for death in the first place. Now don’t get me wrong! I do not want to kill myself, nor do I have plans, active or otherwise, to end my life. But contrary to all the things I fear (failing, being judged/hated/merely disliked, being left behind, losing my job, and a hundred things more), which drive me to act a certain way or do certain things, I would consider quick/unexpected death from heart or pulmonary failure (or a stray bullet while walking through the ghetto, or an airplane falling on my head for that matter), a sweet gift of mercy from heaven itself, not an incentive to change my thoughts about myself. 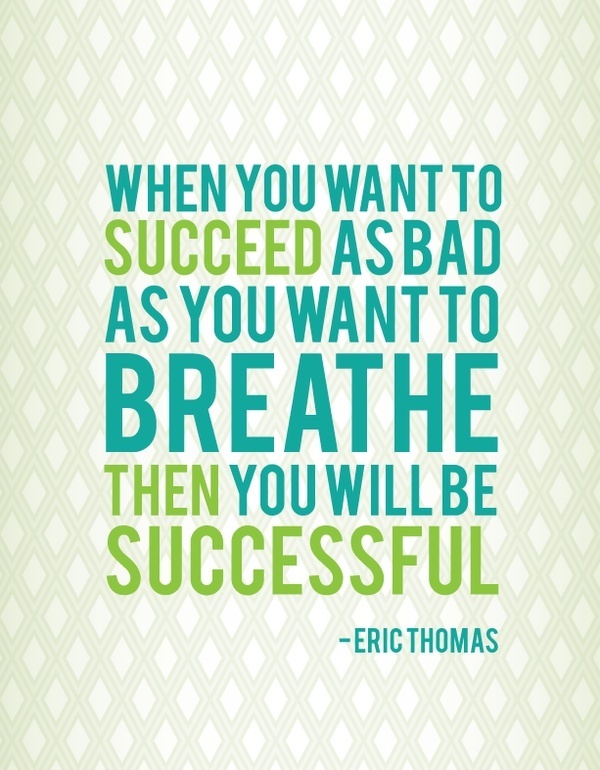 How do you make yourself want to breathe, so you can consequently make yourself want to succeed, you ask? I’m starting to understand that you need to love yourself. Before anything else. 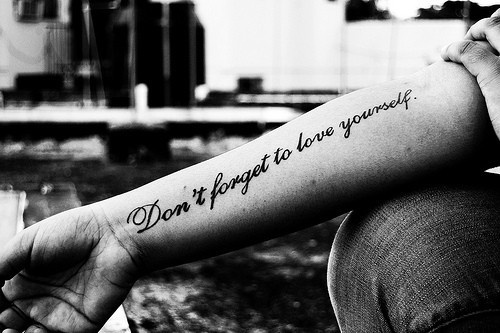 FIRST, you have to love your own self. You have to love yourself in the same way you love someone else. Your child. Your spouse. A parent maybe. A friend. How is it that we can love others so deeply and want nothing but the best for them and believe they have so much to live for, but we can’t even give ourselves this same, very basic courtesy? Would we still love these people, if we knew them as deeply as we know ourselves? Would we love and care for them as much or more, if we knew they were deeply flawed? So my new first directive to myself is “Learn how to F.L.Y.” (First Love Yourself) and let the rest fall into place. This entry was posted in Uncategorized and tagged Eating disorder, Obesity, self acceptance. Bookmark the permalink.